In Defense of Joseph: Why is Joseph's name had for both good and evil? Why is Joseph's name had for both good and evil? “While I was thus in the act of calling upon God I discovered a light appearing in the room, which continued to increase until the room was lighter than at noonday, when immediately a personage appeared at my bedside standing in the air, for his feet did not touch the floor. The room was exceedingly light, but not so very bright as immediately around his person. He called me by name, and said unto me that he was a messenger sent from the presence of God to me, and … that God had a work for me to do, and that my name should be had for good and evil, among all nations, kindreds, and tongues; or that it should be both good and evil spoken of among all people” (RLDS History of the Church 1:12–13, emphasis added). Of course, some people say Joseph made everything up—the vision in the grove, the visitations of the angel Moroni, the Book of Mormon, the revelations, the Inspired Version of the Bible, everything. They say he was a deceiver—a liar and an evil person. For the sake of argument, let’s assume for a moment he was evil. That would mean that the above words weren’t spoken to him by an angel, but Joseph made them up. He made up that an angel told him his name would “be had for good and evil.” I have known a few people in my life that I consider evil. However, they always tried to present the image that they were good and never once did they state that people would say they’re evil. Because being evil, they didn’t want to create the possibility in other’s minds that they might be evil, and thus their true intent revealed. In my opinion, if Joseph was evil and made up everything he said, he wouldn’t have stated that some people would think he was evil. He wouldn’t have wanted to put seeds of doubt in people’s minds as to his authenticity. Thus, I believe Joseph didn’t make this up. I believe that the above event happened as Joseph said it did. And I believe everything he said was true—the vision in the grove, the visitations of the angel Moroni, the Book of Mormon, the revelations, the Inspired Version of the Bible, everything. Please keep in mind as you read the upcoming posts that while I believe Joseph was a prophet of God, I also know he was a man and men make mistakes. Moses, a prophet of God, made a mistake at the water of Meribah. As a result, he was not allowed to enter the Promised Land (Numbers 20:8–13; Deuteronomy 32:49–52). Joseph made the mistake of giving the first 116 pages of the translation of the Book of Mormon to Martin Harris. As a result, he lost the privilege of continuing to translate the book until he had sufficiently repented of his error (See RLDS History of the Church 1:3; RLDS Doctrine and Covenants 2 & 3). However, these were the mistakes of honest, godly men, not evil ones. So when considering Joseph and the work he did, I acknowledge he may have made errors in judgment and action, because he was a man. But he wasn’t an evil one. The evil that people attribute to Joseph Smith, Jr. are not mistakes of an honest, godly man. They are the acts of an evil one. 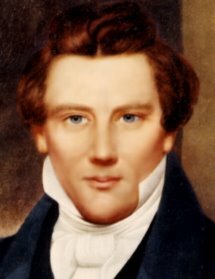 And in the following posts I will try to show that the evil acts which people attribute to Joseph Smith, Jr. are false and that he was truly a good, honorable man and a prophet of God. Was Joseph a liar and a deceiver?